Note: This post was written by one of two founders of Nautical Torque, Galon Maloney, with minor edits by Shen Ge. Shen Ge recently contacted Galon to acquire an overview of the company. Two and a half years ago, on November 1, 2012, Nautical Torque Technology, a designer and manufacturer of innovative mechanical equipment and processes to produce continuous renewable electricity, announced that the U.S. Patent and Trademark Office (USPTO) issued the company its first U.S. patent. This patent is the first step towards bringing a new type of renewable to the market and help utility companies meet their renewable portfolio standards. inventor and founder Cahill Maloney. Tides depend on the moon, and are predictable and consistent, allowing Nautical Torque’s patented gearing technology to provide continuous power. This continuous “lunar” energy solves the problem of intermittent renewables. Bulk energy storage is limited and renewables depend on proper weather conditions. Often times renewables need to be backed up by traditional fossil fuel and nuclear sources that are considered baseload because they produce predictable high density power to the grid. Nautical Torque’s continuous power solution represents the first viable baseload renewable that will allow society to begin to abandon harmful nuclear and fossil fuel power generation. Founded in 2008, Nautical Torque Technology was a semifinalist in the Clean Tech Open 2012, the Academy Awards of Cleantech. 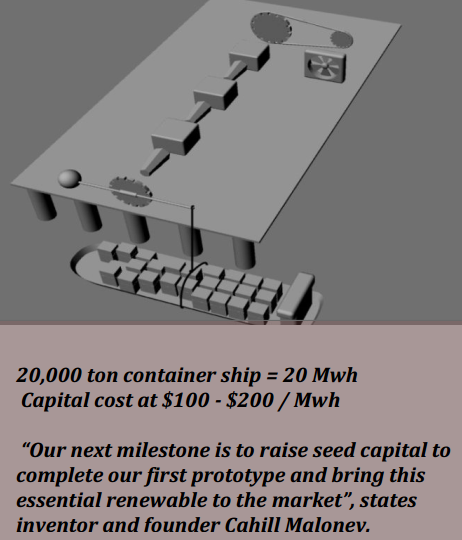 They seek seed stage funding for the construction of full scale prototypes in northern California. For more information visit www.nttech.info or follow the company’s progress via Facebook at www.facebook.com/nauticaltorque. 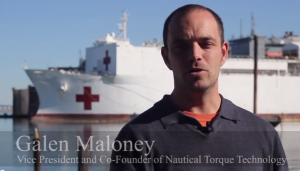 Galen Maloney, Vice President of Nautical Torque Technology. You can also contact Galen Maloney, Vice President Nautical Torque Technology/ 415 756 4478 / galen@nttech.info.